We are located on the North Shore of Sydney and have a wealth of experience in preparing resumes, cover letters, selection criteria and LinkedIn profiles for local professionals as well as fresh graduates, trades specialists and medical personnel. If you would like to call and discuss your situation we are happy to oblige with a free of charge assessment of your existing resume and application documents. A professional resume is your entry ticket to the next step in your career advancement. We understand that it is difficult to prepare your own resume because you are too close to the action and you may not be aware of the current standards and specific requirements of recruiters and modern organisations. We are happy to provide advice and prepare your resume to a professional standard. If you decide to engage our services I would like to meet you face to face and prepare a professional resume for you which is both informative and attractive, presenting you in the best possible light, differentiating you from other candidates and enhancing your prospects of gaining an interview and a new position. Our resume package generally includes a cover letter directed to a chosen position and displaying the value you will bring to the organisation. You might also choose to adapt the letter to suit other positions. Read more about why our resumes work. For government and not-for-profit positions, there is often a requirement to respond to selection criteria or targeted questions. We can support you write selection criteria responses or can prepare the documents for you. A successful job application usually leads to an interview which is the final step in winning a position. We can help with coaching and role play to build your skills and confidence to succeed in this final step. At Successful Resumes North Shore our services include preparation of company profiles, online job applications, business reports and letters of interest. The Branch Principal, Allan Wilson holds an MBA from Macquarie and a Bachelor of Science degree from the University of New South Wales. His career to date has included senior positions in high technology marketing, general management and R&D in several local and international organisations. 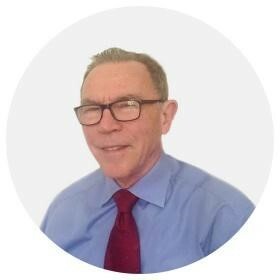 He has a strong background in finance, business development, production, logistics and HR having hired and managed large divisions of global companies in Scandinavia, Switzerland, Asia and Australia and now applies his broad international experience to support clients in developing their careers. Allan has outstanding writing skills which he applies to writing resumes, cover letters, LinkedIn profiles and selection criteria which lead to success in the job market. His successful clients have come from almost every profession or trade covering medical, industrial, construction, financial, transport, logistics and many more. Allan is a supportive and encouraging writer who He prefers to meet personally with his clients to gain a full appreciation of their value, personality and unique abilities. Prices are by quotation and start at $295 for a Resume and Cover Letter package for a person with less than five years of experience. There are special concessions for new graduates, long term unemployed and mums returning to the workforce. All prices include a one hour face to face meeting.